* Lets put a face to each of those hundreds - possibly thousands - killed or arrested. Since the disputed election on June 12 2009, the iranian authorities have detained hundreds of opposition supporters, journalists and protesters. There have also been a number of deaths. The interactive table shows the name & picture (if available) of the dead and detained. Guardian News is asking help from Iranians and journalists who have information on the dead or detained or have picture of those already listed. ** Visit IranHumanRights.org for List of Killed and Detailed Since June 12, 2009. *** Visit IranianChurch.org for List of Killed and Imprisoned Iranian Christians since 1978. Neda Agha-Soltan became a martyr of the Iran opposition after her death was broadcast across the world. Her fiance speaks to Channel 4 News about commemorating her birthday. After her death Neda Agha-Soltan became an international symbol of Iranian discontent with the leadership in Tehran, and fuelled the opposition "green movement". She was attending a demonstration against Iran's disputed presidential election when she was shot dead last year. The last moments of her life were broadcast across the world. Saturday (January 23, 2010) would have been her 27th birthday, and now her fiancé, Caspian Makan, who has since fled Iran, tells Channel 4 News that he wants Iranians to commemorate the occasion. The "revolution", he says, should "not be silenced until the dawn of victory for the people". "A lot of people expect me to speak of revenge," Makan told Channel 4 News. "I've been asked many times by many people; at times they haven’t behaved well when I haven’t responded to their request. "So I want to say now that this wasn't something that entered Neda's thoughts. 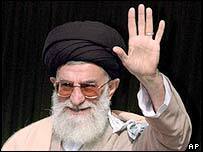 "If we are going to take that route, even in our words, we are not so different from the leaders in the Islamic republic. This isn't what we want and it isn't what Neda wanted. "The 23 January is Neda's precious birthday. Neda will be 27 on that day. I felt that this should be marked in the world. The fiance of the iconic slain Iranian protester Neda says her gravestone has been vandalized, RFE/RL's Radio Farda reports. Caspian Makan told Radio Farda from Vancouver that the grave of Neda Agha Soltan was found vandalized on December 31. He said this was not the first time the gravestone had been desecrated. The 27-year-old Neda was shot dead during postelection protests in June. Her final moments, captured on video, became a symbol of the Iranian government's heavy-handed response to protests following the June presidential election. The tombstone, which is engraved with an image of Neda's face, was pockmarked with holes. Makan suspects the damage was caused by bullets. Makan told Radio Farda that the grave is in a guarded section of the cemetery, so any damage could not have occurred without the knowledge of cemetery officials. Makan blamed "those who opened fire on Neda and others" as responsible for the latest vandalism. "Whenever this kind of thing happens, it becomes clear that the Islamic republic does such acts of desecration, but they refuse to accept responsibility," he said. Vandalizing gravestones has been a tactic reportedly used against government opponents since the 1979 Islamic Revolution. Makan says that the latest vandalism does not astonish him, given that authorities have yet to acknowledge the circumstances in which he believes his fiancee was killed. To those who knew and loved Agha-Soltan, she was far more than an icon. She was a daughter, sister and friend, a music and travel lover, a beautiful young woman in the prime of her life. "She was a person full of joy," said her music teacher and close friend Hamid Panahi, who was among the mourners at her family home Sunday, awaiting word about her burial. "She was a beam of light. I'm so sorry. I was so hopeful for this woman." Iran's regime has issued a ban on memorials for a young woman whose death has become the focal point of protests against the clerical regime.Some online posts speculated the images of Neda would rank alongside that of the unnamed man standing in front of a tank in Beijing's Tiananmen Square in 1989 and the summary execution of a Vietnamese Communist prisoner by Colonel Nguyen Ngoc Loan in 1968. About 70 mourners gathered outside Niloufar mosque in Abbas Abad, where the Agha-Soltan family attended services. A leaflet posted on the mosque's door read, "There is no commemoration here for Neda Agha Soltan." Many in the crowd wore black. Some recited poems. After about ten minutes, 20 Basij paramilitary arrived on motorcycles and dispersed the attendees. The death of Neda Agha Soltan, the 27-year-old "Angel of Freedom" who was killed by a government sniper as she joined an anti-government protest with her music teacher, is a graphic illustration of just how ruthless the regime can be in suppressing the protests. 6/22/2009 - Monday - Tehran - Neda Agha Soltan, the 27-year-old "Angel of Freedom" was burried in silence in Tehran. 6/21/2009 - Sunday - Tehran - Neda was shot in heart by pro-government Basiji militia. Neda was protesting with her father. Photos: Who Was Neda Agha Soltan?